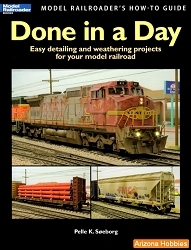 Have you always wanted to make creative effects for your model railroad, but didn't know how? Many off-the-shelf items in lighting, animation, and sound are available and are easy to operate. Learn to make an operating crane by using gear motors and a remote controller, build a working conveyor loader, or an operating turntable that moves at scale speed. Animate a waterfall, create smoke, simulate fire, and project theatrical type lighting. These are only a few of the many items covered in this book. Learn how to make a working crossing gate with lights, a simple track signal system, or a street system with moving cars and trucks. 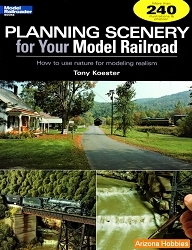 New ideas and materials are explained to the novice modeler with easy-to-understand instructions, photographs, and diagrams. 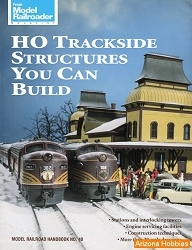 J-T Publishing, softcover, 200 pages, 8.5 x 11 x .5 in., B&W photographs and illustrations.